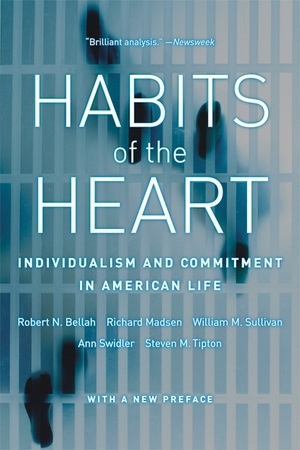 First published in 1985, Habits of the Heart continues to be one of the most discussed interpretations of modern American society, a quest for a democratic community that draws on our diverse civic and religious traditions. 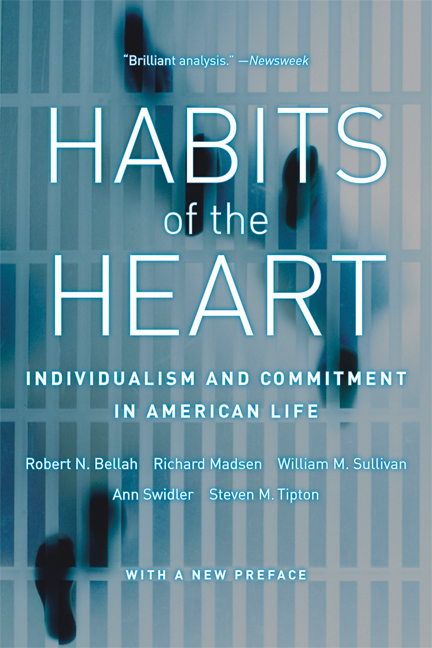 In a new preface the authors relate the arguments of the book both to the current realities of American society and to the growing debate about the country's future. With this new edition one of the most influential books of recent times takes on a new immediacy. Recipient of the National Humanities Medal, Robert N. Bellah is Elliott Professor of Sociology Emeritus, University of California, Berkeley. Richard Madsen is Professor of Sociology, University of California, San Diego. William M. Sullivan is Senior Scholar at the Carnegie Foundation for the Advancement of Teaching. Ann Swidler is Professor of Sociology, University of California, Berkeley. Steven M. Tipton is Professor of Sociology and Religion at Emory University and the Candler School of Theology.